Today, we had the most fun, rewarding, inspiring day at the Chartbase in…well…maybe ever. We invited five young ladies from The Young Women’s Leadership School of Astoria to join us for a job shadowing day that the school runs for their sophomores. Because that’s the problem with technology in schools right now. It varies so much. And while the tech sector continues to blow up in NYC and all over the country/world….we’re not teaching it (at least not consistently) anywhere. Which completely blows my mind. The Young Women’s Leadership Schools are doing an amazing job, actually. We learned that these gals had classes on social media available to them and a bunch of them had Tumblr blogs of their own. 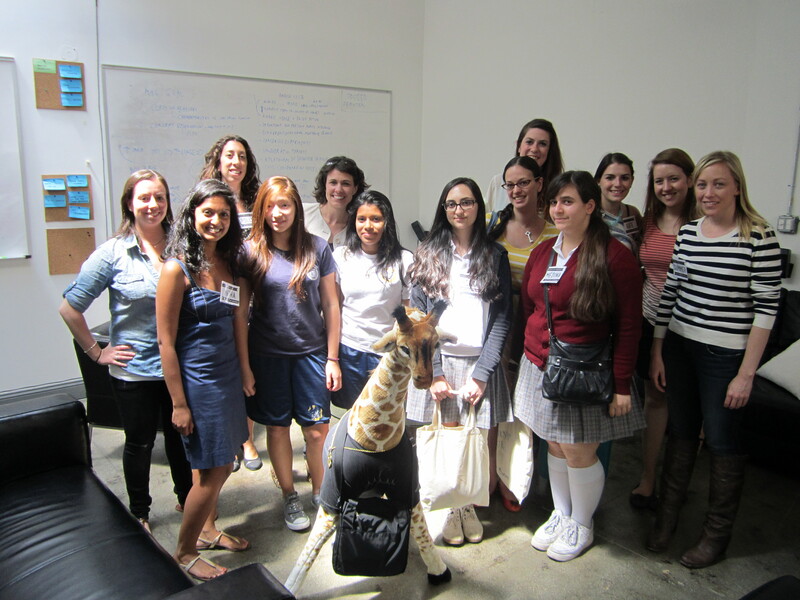 But still none of these girls knew what coding was. So we started there with our day. Not only did they get it, but they built their own start up! A project called StudentConnect that would be a website and app that is a student’s best friend – sharing everything from what’s for lunch in the cafeteria that day (complete with real pics of those Sloppy Joes) and real-time communicating snow days to giving your friends a heads up on that 3rd period pop quiz and a calendar of homework and upcoming after-school activities. We’re asking you to submit other startups, apps, blogs, ideas that we can add to this page and constantly keep it growing, so the next generation has no choice but to beat us at our own game. And we’ll like it.